Guitarist Dustin Wong is upfront about not having the cleanest apartment. “There are so many plastic water bottles in the kitchen, equipment sprawled all over the place. Pieces of aluminum foil on the floor.” This was where he and singer Takako Minekawa recorded their second album together. “It’s like a different world,” Minekawa says, drawing laughter from Wong. This cluttered (his word) apartment was therefore the ideal place for the pair to create their newest full-length, “Savage Imagination,” a collection he describes as featuring more “organized chaos.” The album (out now in Japan, but to be released internationally on Sept. 23 through American imprint Thrill Jockey) includes the sonic hallmarks of both artists involved — the whirlwind, looped guitar playing of Wong and the singing of Minekawa — mixed with new developments not found on their debut collaboration, 2013’s “Toropical Circle,” most notably an increase in sampled sounds. “Savage Imagination” darts all over the place, but they spent a lot of time getting the wildness just right. Wong grew up in Tokyo, but the Chinese-American moved to the States for university and caught attention as the guitarist in frantic Baltimore rock band Ponytail. He moved back to Tokyo in the fall of 2012 to be closer to his family, and soon connected with Minekawa, a cornerstone artist of the 1990s Shibuya-kei scene. 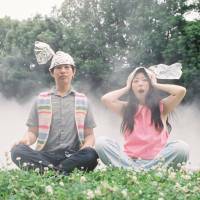 They recorded “Toropical Circle” in Wong’s mother’s spacious hula-dancing studio, but the pair say they got cracking on “Savage Imagination” as soon as they wrapped up their first CD. “This one is beefier, it has a little bit more muscle,” Wong says, noting that it features more aggressive drum-machine programming than “Toropical” did. “I think Dustin got more muscles in his fingers from hitting it,” Minekawa says as she imitates how he used the instrument. The biggest addition, though, was the use of samples. “Anything that makes a sound can become an instrument, whether you are hitting a cup or rubbing a surface,” Wong says. “I’m learning a lot about sound that way — about textures and timbre.” Besides recording their own samples using various items — including Wong’s water bottles — they also found them from other sources. Both artists took the time to learn about the sounds they sampled. For “Savage Imagination,” the pair are also singing together a lot more. “We got an Auto-tune pedal, and that helps me because I’m not that confident with my own voice,” Wong says. Minekawa says the duo shared one mic, and would literally hit it — or, more accurately, the armlike stand it was on — toward one another while jamming when they thought the other should sing. One song, the nimble “She He See Feel,” revolves on a topic Minekawa has long enjoyed — quantum physics. “As a child, I had an interest in particles, and what colors they had,” she says, adding that her lyrics were further influenced by recent viewings of the sci-fi series “Star Trek: The Next Generation” and reading books by American physicist Fred Alan Wolf. She also was inspired by Ventla, a Japanese producer who uploads his music to a SoundCloud page and routinely plays around with how words sound. On “She He See Feel,” Minekawa exploited the myriad meanings of various Japanese words all pronounced “kan” — along with the kanji for them. Besides playing around with words and sounds, the two also explored new territory visually. They created the album art for “Savage Imagination” in Wong’s apartment (both describe the art as “its own world”), and Wong says they created three videos — one, for “She He See Feel” is viewable online — using green-screen technology. “Over the past two years, I’ve noticed how people use computer graphics, and the general interest in them has been growing,” Wong says, referencing a visual aesthetic embraced by U.S. producer Oneohtrix Point Never and artists in the Internet-centric niche genre of vaporwave, which both Wong and Minekawa enjoy. Even though Wong and Minekawa took cues from those sorts of artists, they say they weren’t interested in exploring similar themes. Then, after talking with Minekawa for a little bit, they touch on something that also makes “Savage Imagination” such an inviting listen. “We are warmer, and more colorful,” Wong says. 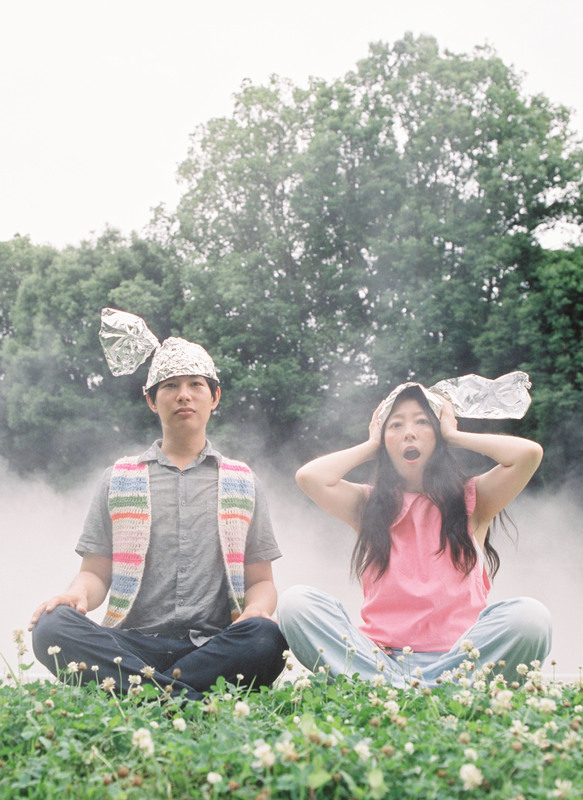 “Savage Imagination” by Dustin Wong and Takako Minekawa is in stores now. For more information, visit http://www.artuniongroup.co.jp/plancha/top/takako-minekawa-dustin-wong-savage-imagination.